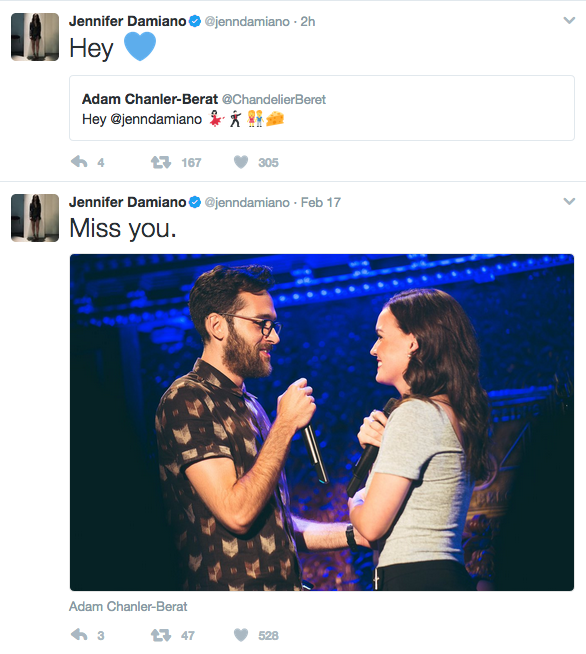 Broadway star and all-around cool girl Jennifer Damiano has a pretty hilarious Twitter presence. 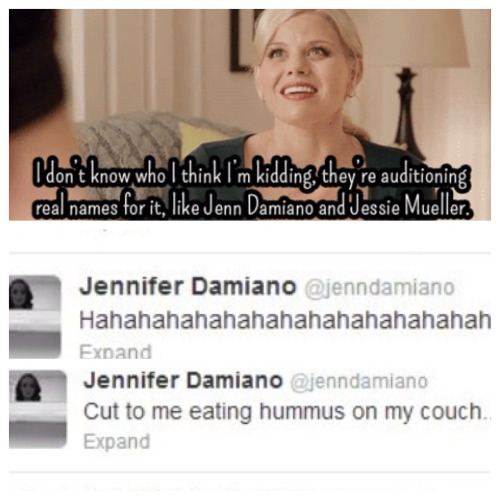 She was even featured in our post entitled 9 Tweets About Theater that are Guaranteed to Make You Laugh. 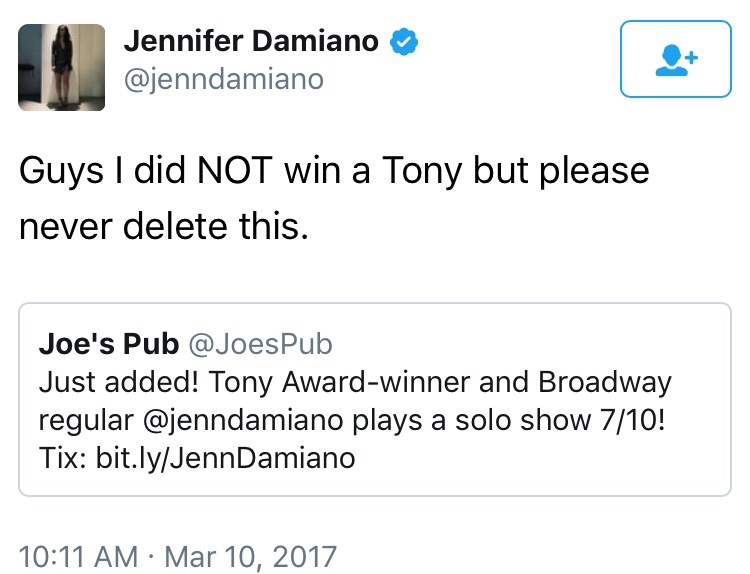 We couldn’t help celebrating Jenn in an article of her own and sharing some of our favorite tweets from the Tony-nominated triple threat. 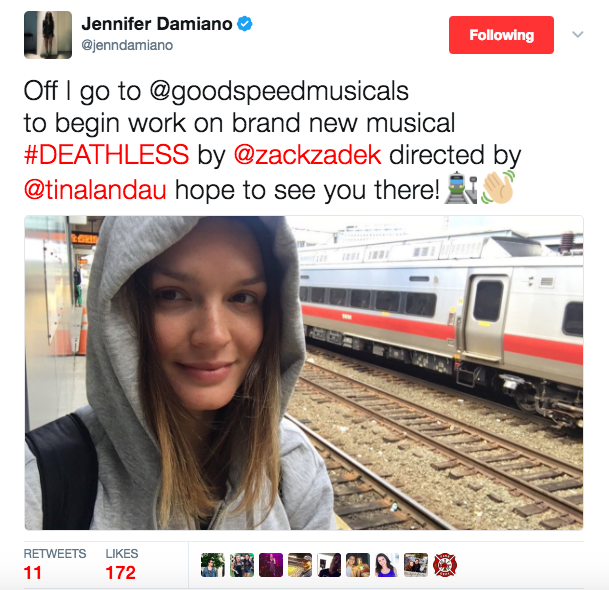 Be sure to catch Jennifer in the Goodspeed’s production of the new musical DEATHLESS, playing at the Terris Theater until July 2nd. You can purchase tickets starting at $35 on TodayTix! 1. 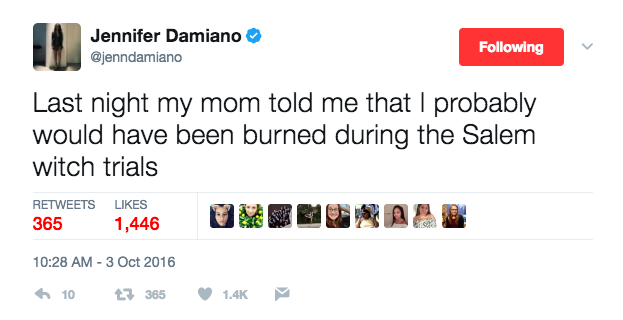 When she kept it real. 2. When she got witchy. 3. When she fulfilled a dream. 4. When she got punny. 5. When she made us teary. 6. When she gave praise where it was due. 7. When she proved she’s a Millennial. 8. When she cut deep. 9. When she spoke the truth. 10. And when she looked adorable on her new journey! 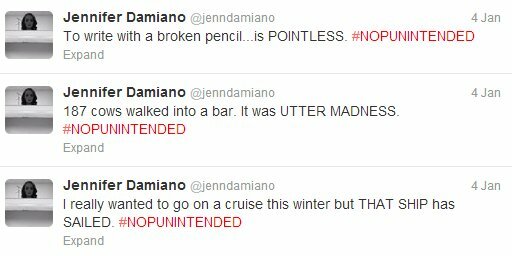 You won’t want to miss the funny and talented Jenn Damiano in DEATHLESS. You can save up to 28% on tickets through TodayTix!